A community health development organisation which works in partnership with local government, health services and local people to engage with and improve disadvantaged communities. We use community development approaches to help people identify unmet need and work with them to establish services in response. Health for All manages many projects and engages more than 5,000 people each year in activities delivered across 5 community premises. Active Clubs Experience (ACE) works with schools and communities to engage primary school age inactive children in regular, enjoyable, physical activity including sport and fitness. 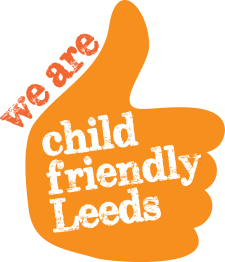 The ACE project delivers weekly fun after-school sports sessions in primary schools and community venues in south and east Leeds. This includes breakfast, lunchtime and community evening sessions, working with schools. The ACE coaches have delivered numerous in-school sessions and taster sessions enabling over 1,600 children per week to experience the enjoyment of participating in our multi-sport activities. During the school holidays our coaches run summer schools, activity day trips and a residential to an outdoor education and activity centre. Children were able to participate, some of them for the first time ever, in a wide range of sports and activities including; abseiling, high ropes, zip-lining, assault courses, team building and problem solving exercises. Health For All Community Transport uses a fleet of well maintained minibuses to provide high quality, efficient and safe transport services to school, youth and community groups, voluntary and statutory organisations at competitive rates. We also offer a community cabs initiative for individual clients. Volunteers are welcome. Contact Norman Mann on 0113 2706903 or emailnorman.mann@healthforall.org.uk.